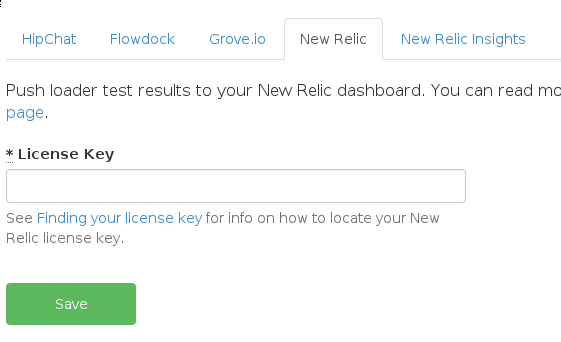 You can have your test results pushed to New Relic: your test results will appear in the New Relic dashboard. Note that New Relic restricts the data transfer rate to one update per minute, so the New Relic dashboard view will not update as quickly as the loader.io web interface. 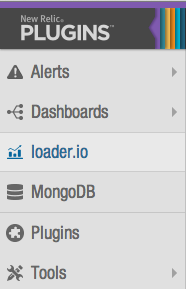 The loader.io summary view appears when you click on the loader.io logo in New Relic left-hand pane. It will contain a list of the loader.io tests that you have run, with some summary statistics. 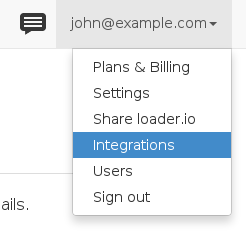 Click on a test name to get the dashboard view. 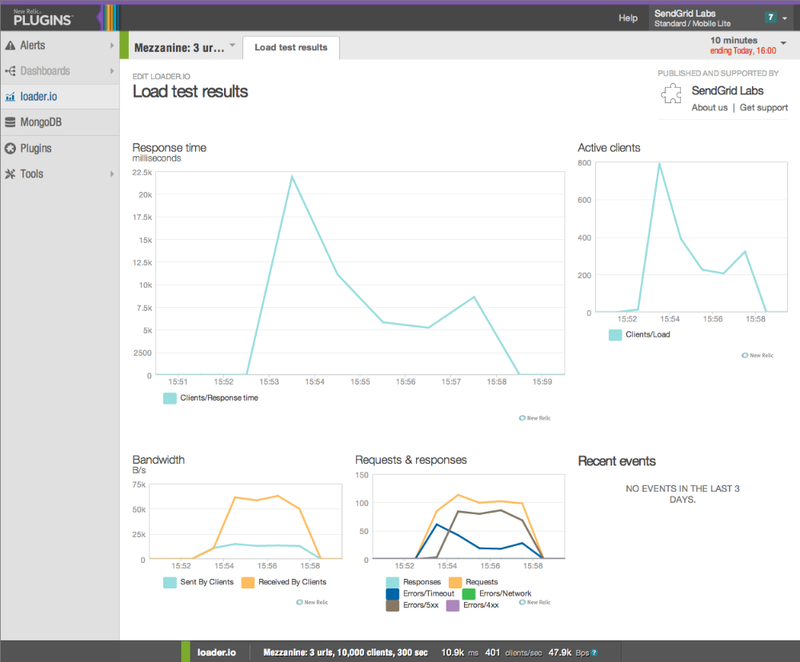 The New Relic loader.io dashboard appears when you click on the name of one of the tests.